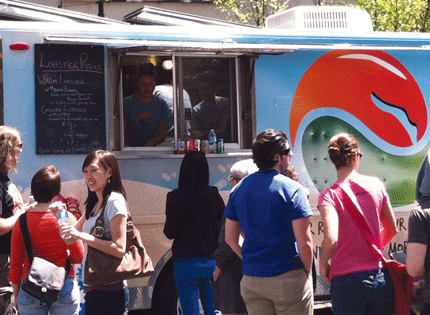 The number of food trucks in the state is on the rise. As is the quality of food they are serving. It’s a trend in the food industry that is showing no signs of slowing down. You can talk about how the food truck industry has transformed from the traditional trucks serving (bitter) coffee, (old) doughnuts and (bland) sandwiches in the parking lot of industrial sites or urban offices to ones whose food is as good as any you would find in most restaurants. Or how they have transformed from being at weekend festivals to having festivals built around them. Or even how the industry has grown so much — and so quickly — that it needed to form an association to advocate for it with lawmakers in Trenton. If you really want to get a sense of how this industry has arrived in New Jersey, consider this: Food trucks are now in great demand for weddings. 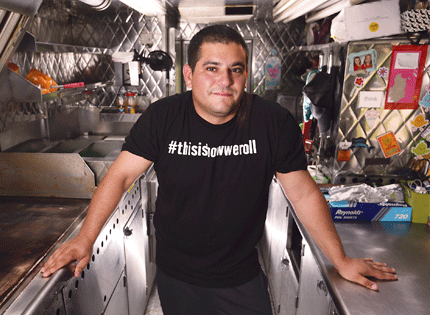 Just ask Mike Barlettano, the co-owner and general manager of Surf and Turf Truck in Hamilton. F. Scott Belgard, owner of Pompier Catering and Cuisine in Hightstown, agreed. 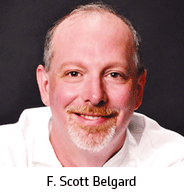 By the end of this year, Belgard expects to have catered 12 weddings and wedding-related events taking place from backyards to the Atlantic City Aquarium to Mercer County Park. Weddings, he said, will soon represent nearly 25 percent of his business. And if you think couples only want the trucks for the food, you’d be mistaken. It appears they don’t mind sharing the spotlight on their big day, either. It seems food trucks are, in fact, everywhere in New Jersey these days. As gourmet food becomes more accessible to consumers, food trucks continue to pop up in the most unexpected of places and stay there, said Jon Hepner, owner and operator of Aroy-D, The Thai Elephant. Gourmet food trucks took off in California in the early 2000s, according to Jon Hepner, president of the New Jersey Food Truck Association and owner and operator of Aroy-D, The Thai Elephant. Many trucks, Hepner said, operate illegally without permits or by transferring permits from one operator to another. It’s too late and too far down the road to fix the situation in New York, Hepner said, but that gives New Jersey an opportunity to provide better industry standards. It will take some doing to get everyone to agree on how. “Rutgers University, for example, used to have ‘grease trucks’ on College Avenue, which was a great spot to park and vend at the time,” Hepner said. “However, the university disbanded that and scattered the trucks for a number of reasons. “Keeping trucks in a static location promotes ‘roach coaches’ — tires go flat, trucks are not kept up and they become eyesores and a blight on the industry. “When I first opened my truck in 2011, there were just over a dozen gourmet food trucks in New Jersey,” he said. “Today, there are over 350. In 2013, Hepner and other food truck owners and operators recognized the rapid growth of the industry in the state and took it upon themselves to organize the New Jersey Food Truck Association, of which Hepner is president, to collectively regulate and support mobile dining experiences in the state. Though the association began collecting members only last year, it has nearly 60 members thus far. It’s easy to see why, with low startup costs around $90,000 and average annual revenue over $250,000, according to Mobile Cuisine online magazine. 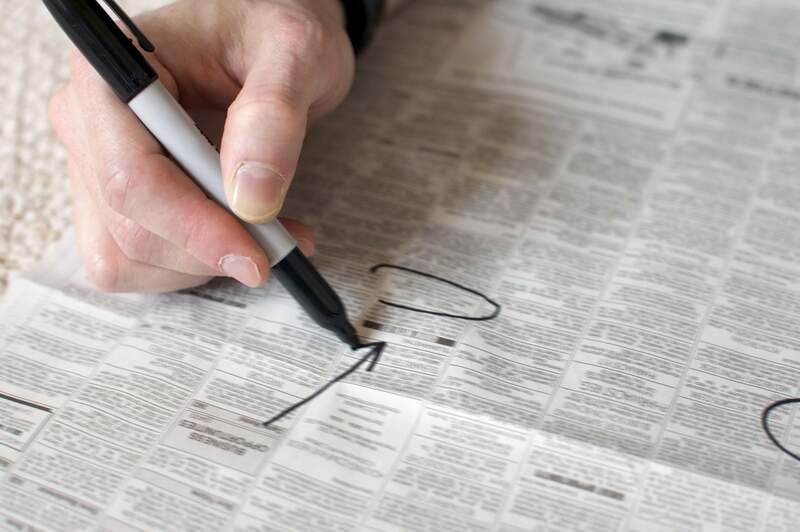 But New Jersey — as dense and diverse a population as it has — presents unique challenges to a seemingly laid back industry. Food trucks are also not immune to New Jersey’s infamous red tape. For example, the New Jersey Food Truck Association mostly spends its time advocating for the statewide standardization of food and health codes, permits and inspections. Yet, somehow, despite the fact that most towns in New Jersey still do not allow food trucks to operate, the high market demand for food trucks has created its own headaches. Finding spaces in which to create the product can also prove difficult. Food trucks are not necessarily meant to replace restaurants. In fact, many operators find it’s worthwhile to move into brick-and-mortar restaurants to increase their kitchen space and production volume. According to Jon Hepner, president of the New Jersey Food Truck Association, there are now more than 1,000 food truck festivals in the state. But if you missed the two largest events over the past few weeks — The Jersey Shore Food Truck Festival at Monmouth Park in Oceanport and the Jerseyfest Food Truck Mash-Up at The Meadowlands Racetrack in East Rutherford — you can still catch Food Trucktoberfest on Sept. 17 at Monmouth Park. Take Carlos Serrano, founder and CEO of Empanada Guy — one of the fastest growing food truck businesses on the East Coast. 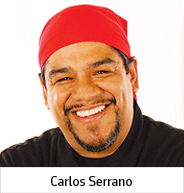 Serrano began his career in food 15 years ago by cooking empanadas in his garage and selling them to delis and restaurants. Now, he owns nine trucks and a restaurant in Freehold as of 2014, selling an average of 150,000 empanadas per month at around $4 each. “It can be done,” Serrano said. Exactly how his business model works is a secret Serrano is proud of. “We make more money at festivals within five or six hours of operation, but long-term, we are still making more money at our permanent locations,” Serrano said. Trucks at such locations — in Port Reading, Old Bridge, Morris Plains, Iselin, South River and Brick — typically spend hours parked in the same spot before packing up and heading home. That’s not a model many other food trucks in New Jersey have been able to emulate, due to unsurprisingly antiquated laws regulating the consistent movement of food trucks. Barlettano’s Surf and Turf Truck will never be confused for the Good Humor man. Surf and Turf Truck prides itself on fresh, sustainable, premium ingredients for its famous lobster rolls. And though the beach-themed truck’s busy season is April through October, Surf and Turf Truck finds ways to stay in demand year-round. “In the winter of last year, we worked Monday through Friday at office parks while also catering here and there for private parties,” Barlettano said. The Polkadot Cupcake Shop in Nutley also is popular for high-end functions all year. 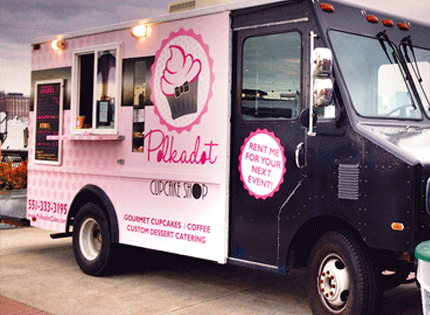 Polkadot, rated one of the Top 13 Food Trucks for Weddings by NJ Bride magazine for its notorious cocktail cupcakes, was hired for Wendy Williams’ book signing and the celebrity wedding of Jennifer Lynn “JWoww” Farley. That validates all the work she’s put into it, owner Arlene M. Altschuler said. “Not only are your regular customers loving it, but somebody, somehow, got your name out there,” she said. It could’ve been any one of the nearly 2,000 customers she is able to serve from her truck in a day. Thank goodness there are usually only a few hundred wedding guests who leave with party favors ranging from decadent cupcakes to mini pies to candy apples. “People are always looking to add something new and exciting to their wedding and, with the food truck craze, more and more clients started reaching out about creating sweet treats for the guests on their way out,” Altschuler said. The cuisine and unique business ideas gourmet food trucks have been able to present have opened up profitable markets for what should be a seasonal business. The food truck industry is not filled with a bunch of line cooks taking their efforts on the road. Business in the state is attracting culinary veterans, such as F. Scott Belgard. Classically trained in France and having worked in restaurants in New York City and the Caribbean for over 25 years, Belgard’s original goal was to open various themed restaurants in the state to promote his brands under Pompier Catering and Cuisine: Pompier Street, Pierogi Flats and Carib. However, he said, with what’s now happening with the industry, it makes sense to expand each of his brands by concentrating on trucks. “This year alone, we are projecting to grow 60 percent,” he said. He feels it could be more. You want to start a food truck? F. Scott Belgard, owner of Pompier Catering and Cuisine, knows just how many people join his industry every day. He’s not concerned that the New Jersey market will become overly saturated. “It is not as easy as anyone thinks to make it in this business — it is very laborious,” he said. “The market has a way of washing out. There are so many people entering the industry who do not have the background experience and do not realize what it takes to make this work. To be successful, he said, you must know what people want, what the gaps are and how to execute it correctly. It might help to be familiar with what the National Restaurant Association said are the top food truck trends for this year: hyper-locally sourced meats, seafood and produce; environmental sustainability; healthy kids’ meals; authentic ethnic cuisine; and cooking dishes using ingredients from scratch. Product quality is everything, said Carlos Serrano, founder and CEO of Empanada Guy. Serrano also advises having a large amount of capital with which to start. That’s why it’s imperative to know where to go on the days in which one is available to make income, Jon Hepner, owner of Aroy-D, The Thai Elephant, said. “Trucks have to be smart which events they choose because, sometimes, there are events in which no one shows up,” he said. According to Mobile Cuisine, the top food truck location market segment last year was on the street (55 percent). Other successful locations included venues and events (18 percent), construction sites (15 percent) and shopping malls (12 percent). It might not only be time for New Jersey to open its law books, but also to look to what other states are doing to capitalize on the opportunities food trucks present. “In Portland, Oregon, for example, they have around 30 food truck pods,” Hepner said. “These are usually city blocks with about eight to 10 trucks each, with tables and chairs, in which people working in Portland come together at and have lunch. The closest and perhaps most perfect, according to Hepner, representation of what revising statewide food truck laws could do for the economy is most visible in Hoboken. This creates a rotation of trucks that can provide a variety of food and an incentive for customers to keep returning each day. “Our industry can therefore offer something to the public that nobody else can,” Hepner said.